Here is a quick rundown of the equipment in the Grain Bin Studio. The speakers are Acoustic Research AR3a. The tape recorder is a four track Teac using quarter inch magnetic tape. To the right of the recorder is a hundred watt lunchbox amplifier designed by Stan Kriz. To the left is the meter head/power supply/headphone amplifier for the board. I built the mixing board by hand out of Aluminum stock. The electronics which is all rack mountable includes compressors, Stan’s 90db version of a dolby unit, reverbs, and matrixes. The center section originally held the board at the left and then later held the Teac board. 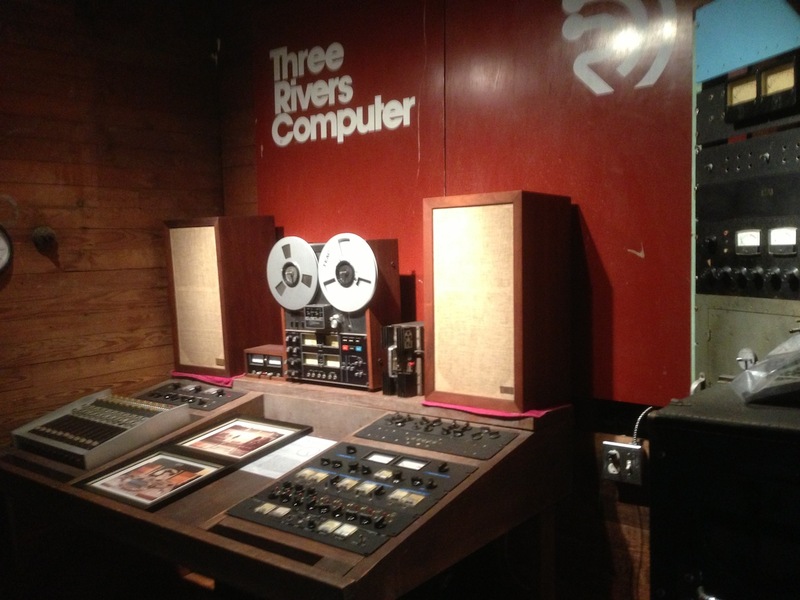 the red back board is from a Three Rivers Computer booth. The tall rack holds the WRCT green machines that provided late night music. Originally it was a data logger from the Pittsburgh airport. 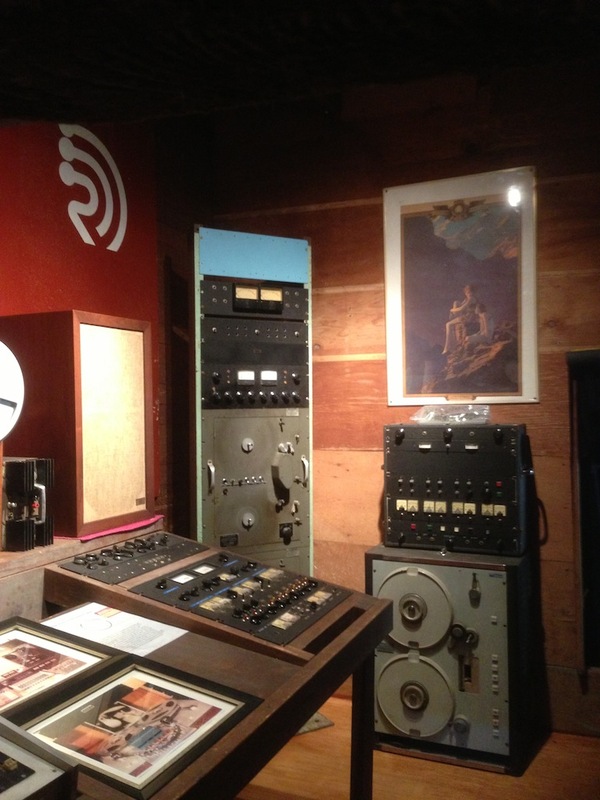 The small rack is the six track recorder, Ampex deck and electronics. The poster is a Maxfield Parrish that hung in the original CMU studio. Any way to get a playlist out of those automation green machines?